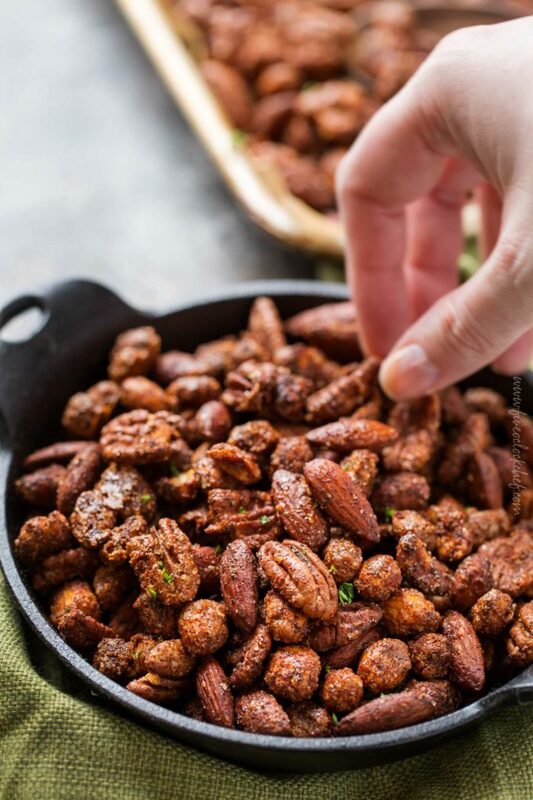 Peanuts, almonds and pecans are coated in a mouthwateringly savory barbecue spice mix and roasted until crispy and delicious! 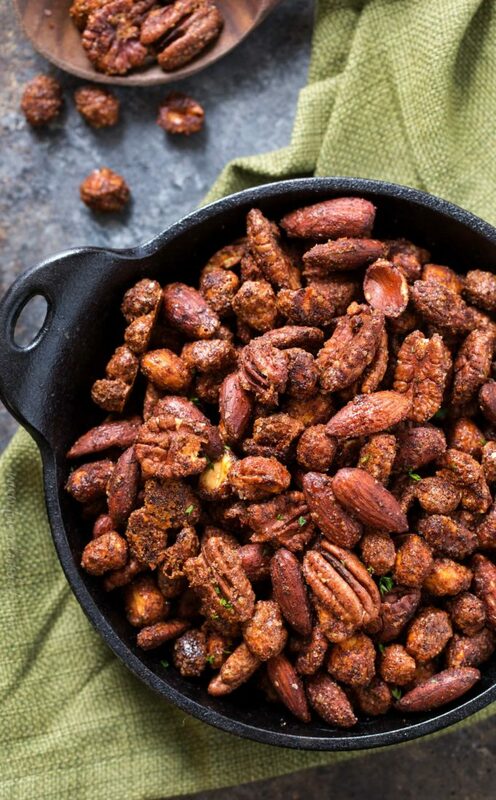 The perfect bar snack is elevated to new savory levels in these barbecue roasted mixed nuts! Can I just take a minute and say holy ****, where did July go?! 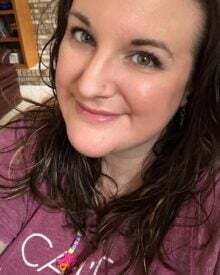 As I sit here, preparing for the kids to go back to school and realizing it’s officially August, I can’t believe how quickly this summer is flying by. It’s such a cliche, I know… but seriously!! Anyway, let’s chat about these nuts shall we? 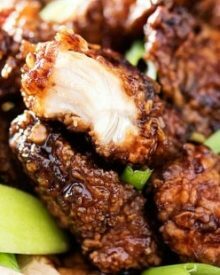 I think they’re the perfect bar food! Even if you’re not at a bar, or even if you’re not drinking alcoholic beverages, these mixed nuts are a fantastic snack/treat. 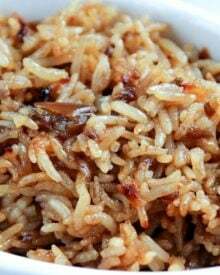 Salty, savory, slightly sweet, and plenty crunchy! 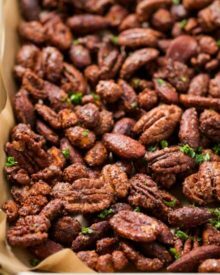 The crunch comes from not only roasting them, but coating them in the frothy egg white mixture like I do in this sweet spiced nut version. 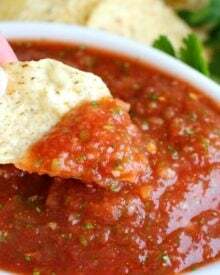 It creates a crunch that is second to none!! 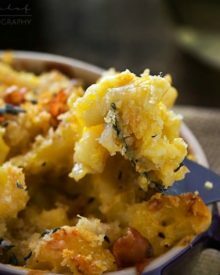 Instead of going with the traditional sweet variety, I wanted to go savory… and BOLD. 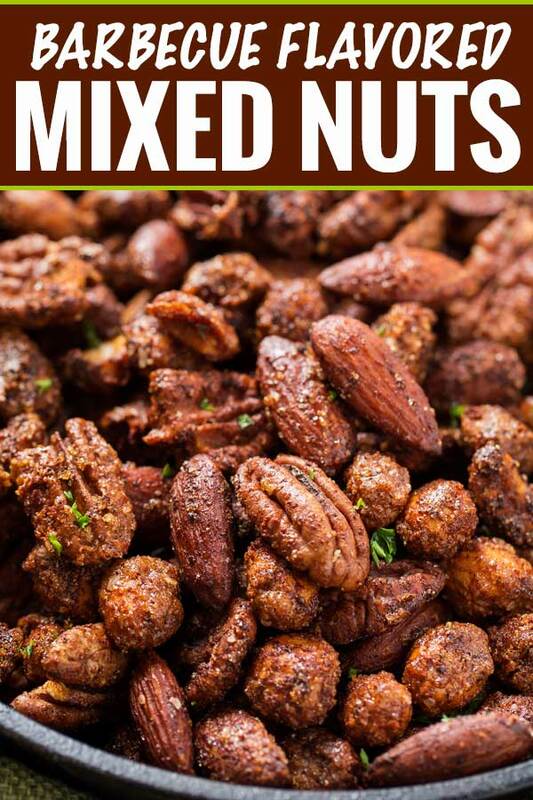 There are some serious flavors going on in these mixed nuts! The homemade spice mix tastes like your favorite bbq seasoning, and is really easy to make! The only thing there that you may not have in your spice cabinet is the smoked paprika (and maybe the dry mustard). Both are integral to the taste here, so definitely pick them up. 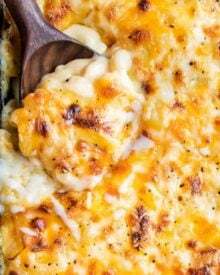 You won’t be sorry, once you use them, you’ll be adding them to your cooking more and more (try adding a pinch of both to the sauce for this mac and cheese – amazing!). HOW LONG DO I ROAST THESE MIXED NUTS? Since the nuts we used to make this mixture are already cooked, and not the raw varieties, you won’t need to roast them as long. 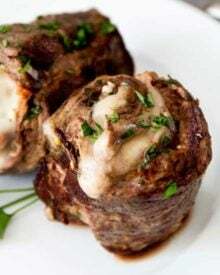 You’ll only roast them until the spiced egg white mixture isn’t wet any more, which should take around 25 minutes. Depending on your oven, it may take a few minutes more. Use nuts you like the most! I chose these nuts because they’re my favorites, but if you prefer cashews instead of pecans, etc… go for it. Make sure to whisk the egg white until frothy. There’s no delicate way to say it, and it’s unappetizing as hell, so I’m sorry…. but basically, it should look foamy, and as you’re tossing the nuts in it, it will look like spit. I know that’s gross, but I promise, it’s all worth it, because it’s what gives them an unmistakable crunch! Play with the seasoning amounts if you need to. I gave ranges for both the cayenne and black pepper, as they are the ones that will make these mixed nuts taste spicy. Based on your tastes and what you can handle, you can do less than the amounts listed, or more. Just remember, with cayenne, a little goes a long way! 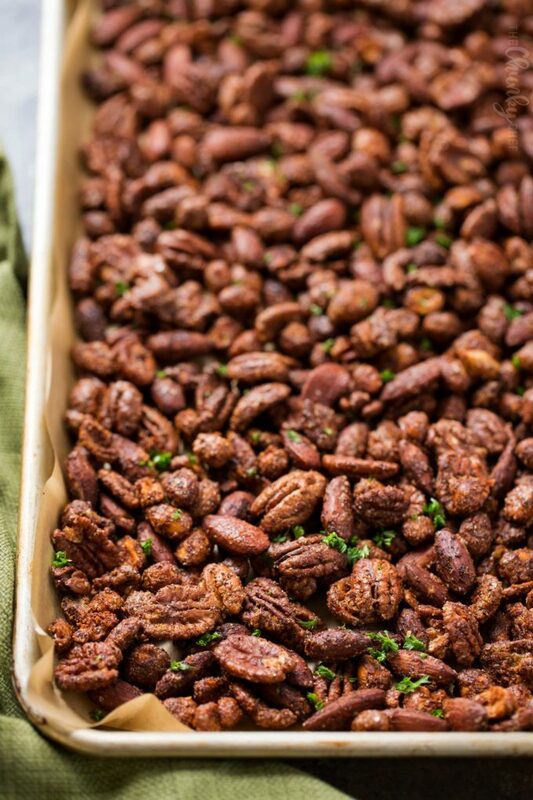 After the 25 minutes of roasting, the nuts may not be crisp, and that’s okay. As they cool, they will crisp up, I promise! 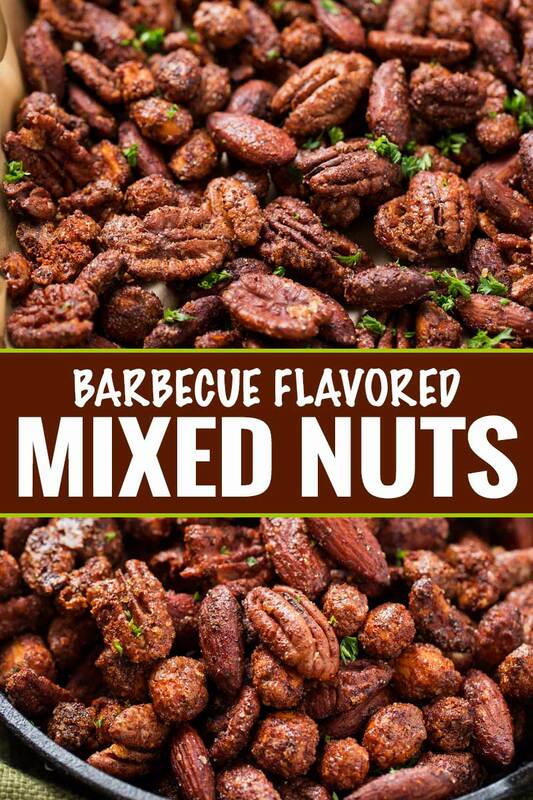 Not only are these barbecue mixed nuts a great bar or party snack, they’re great on the go or to give away as a gift! Just add some to an airtight container and you’re good to go! Rimmed baking sheet – I use this baking sheet for just about everything, and it’s held up amazingly well! Parchment paper – never get annoyed by cutting curled up parchment paper again! Cast iron serving dish (pictured several photos up) – not necessary to make these nuts, but this is the dish pictured in the post, and it’s great for serving! Preheat oven to 325 F degrees. Line a large baking sheet with parchment paper and spray it lightly with non-stick cooking spray. Set aside. Combine all spices (first 8 ingredients) in a small mixing bowl. To a large mixing bowl, add egg white and whisk until very frothy. Add in nuts and stir until nuts are coated in egg white. Add in spice mixture and stir again to coat. Spread nuts onto prepared baking sheet in a single layer and bake, stirring twice, about 25 minutes, until mostly dry. 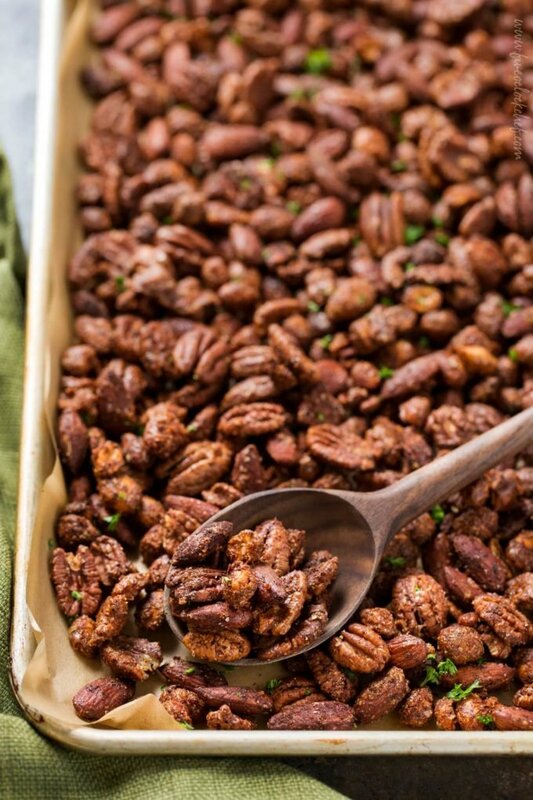 Allow nuts to cool on baking sheet and break up any clusters. The nuts will crisp up as they cool. It looks really addictive! Would love to give this a try! Perfect for snacking! This will be a hit! These look incredible! These are mouth watering! What a great idea for snack time! Sounds so flavorful! I could snack on these all day! Is the egg white for binding the spices to the nuts? Would melted butter be an acceptable substitute? I love the flavor of these! 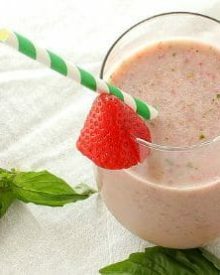 These would be a perfect snack for the kids, especially when school starts up again!